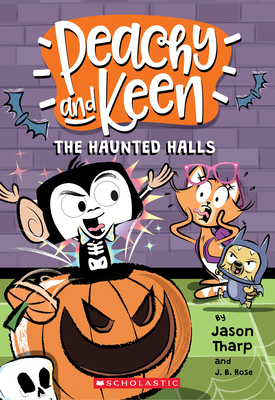 It's the Super Scare-off at Happy Tails and students compete to be crowned the spookiest trickster in school. But unexplainable things begin to happen and rumors swirl that there are real ghosts haunting the halls. The Purrfect9 team has to get to the bottom of it! The only problem? Editor-and-Chief Peachy has a secret she hasn't told anyone-she's a major scaredy cat! Will she get to the bottom of what's really haunting the halls?